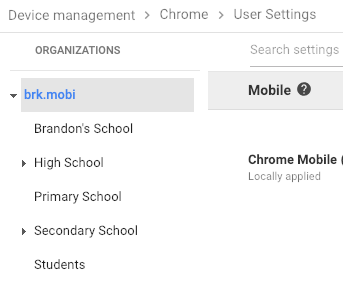 The Chromebook Extension is an included part of the free Bark for Schools program. 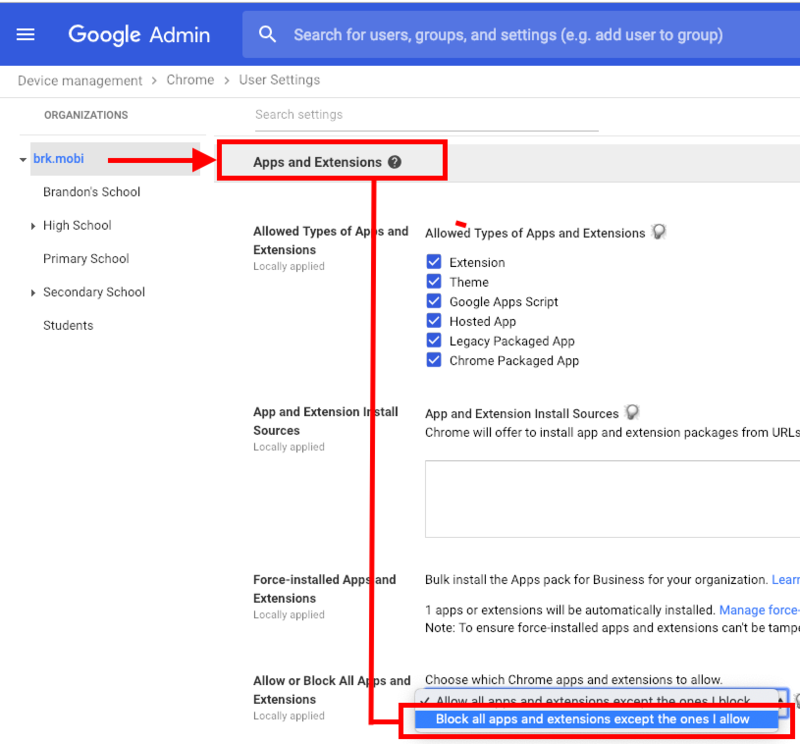 Enabling this extension will allow schools to be alerted to browsing activity and viewed images on any browser that the student is logged into that contains inappropriate or concerning content, including Chromebooks. Please note: enabling this extension will likely lead to more data being sent to Bark for Schools. This is due to our method of analyzing the site code to better provide insight into concerning student activity. 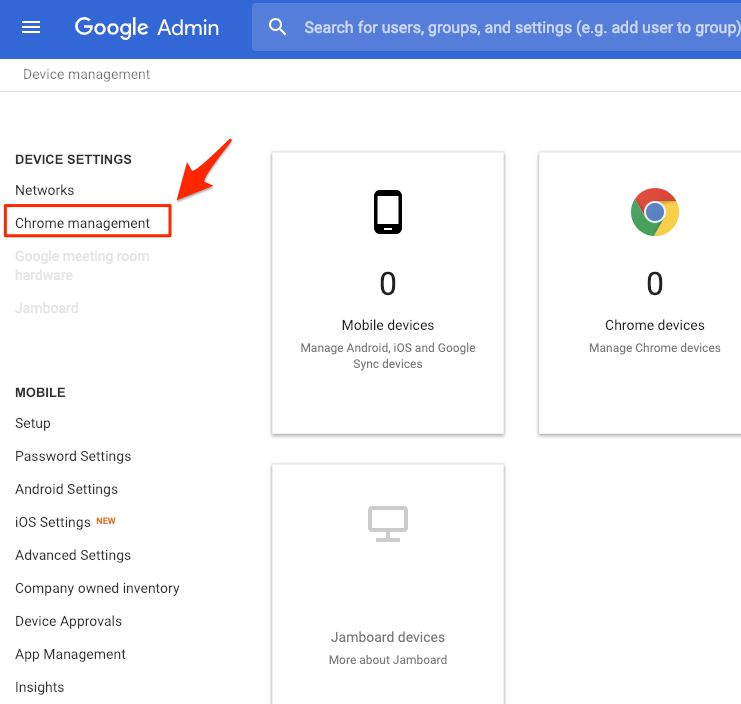 To start, log into your administrator-level account on G Suite. 4. Select the OU(s) that contain the students you wish to enable the extensions for - bear in mind that the top-level OU will force those related sub-OU's to inherit the extension. 5. 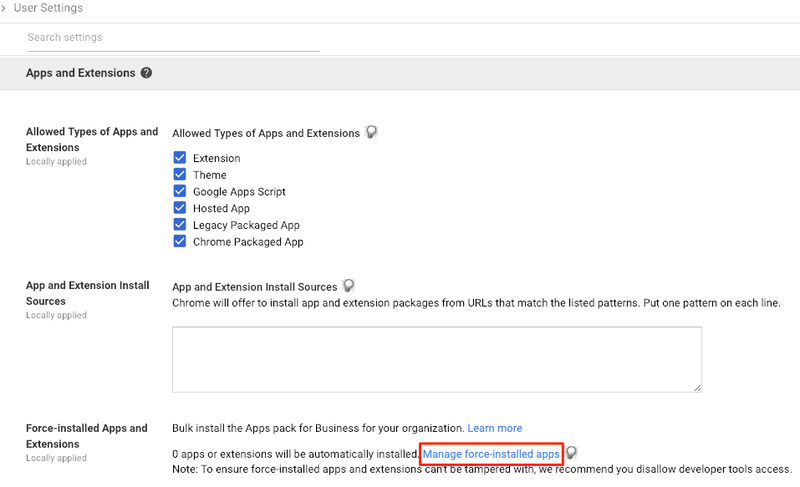 Scroll down to locate Apps and Extensions and click on "Manage force-installed apps"
6. Click "Chrome Web Store" and type in "Bark" and select "Add" under "Bark for Chrome". Locate "Save" in the bottom right and click it. If you wish to turn on the Bark for Chrome extension for OU's that were not part of the first tree, please repeat steps 4 - 7. 5. 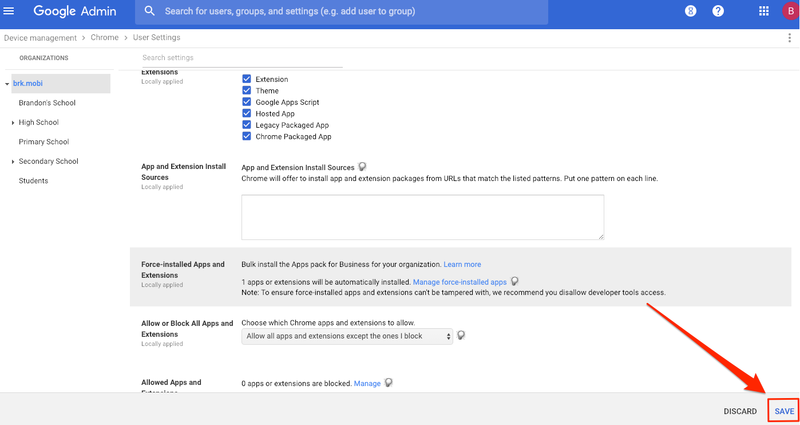 Scroll down to "Apps and Extensions" and select "Block all apps and extensions except the ones I allow" from the drop down. 6. 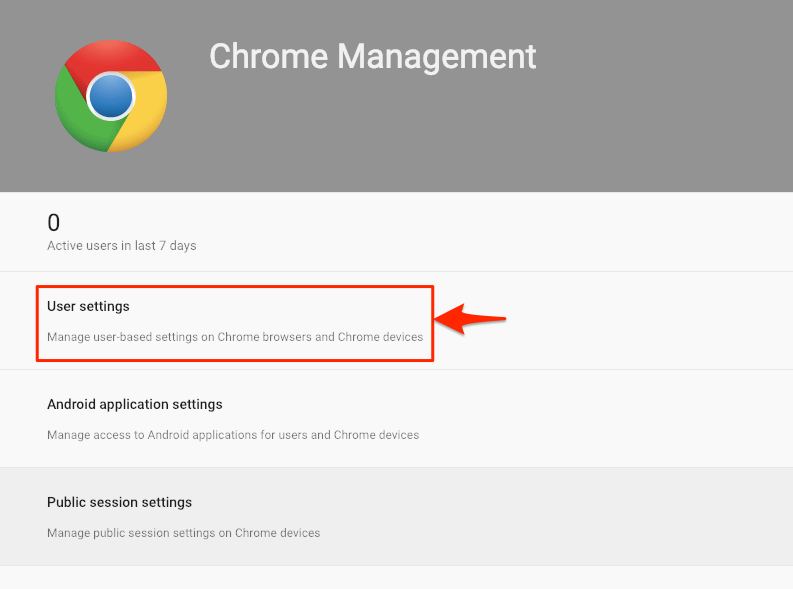 Under the "Allow or Block All Apps and Extensions", located just below, click "Manage"
7. 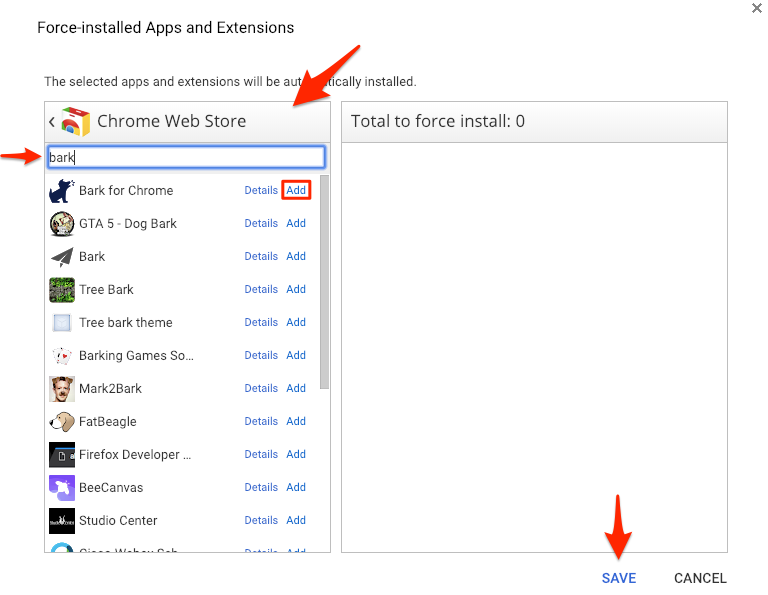 Click "Chrome Web Store" and type in "Bark" and select "Add" under "Bark for Chrome". Locate "Save" in the bottom right and click it.